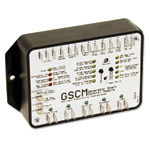 The GSCM (Generator Start Controller Module) is a microprocessor-based generator-starting controller that receives start commands from the 12-volt output from an OutBack FX inverter auxiliary relay, a user-supplied switch, an auxiliary relay in an inverter, a voltage controlled relay, a timer or any user-supplied contact closure. It automatically controls a gas/propane or diesel powered generator or pump, and is totally sealed for harsh environment operation. The GSCM provides contact signal relays to start the engine and disconnect the starter when a minimum generator frequency output is measured. It monitors the generator operation, shutting it down if one of several fault conditions is detected. LEDs are flashed to indicate the cause of the shutdown. Manually resetting the GSCM removes the lockout and allows the generator to restart if called. 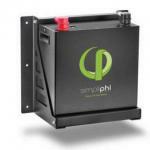 The GSCM is powered by 12 to 24VDC from a battery bank and will start generators for 12 to 48V systems. 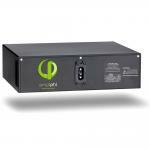 For 48V systems the GSCM must be powered by a 24V-or-less tap on the 48V battery bank. The GSCM provides a 30-day exercise function which can be synchronized with a photovoltaic input to only start each 30-day period at the beginning of the solar charge day. 2-year limited warranty. Dimensions are 5.5" x 3.3" x 1.5".